As a result of transpeptidation, the tRNA residue of the newly elongated peptidyl-tRNA occupies the ribosomal A site while deacylated tRNA occupies the P site (Fig. 12.1 left). Translocation is defined as an intraribosomal movement of the bound tRNA residues accompanied by the shift of the template polynucleotide relative to the ribosome. Summarily, the tRNA residue of the peptidyl-tRNA moves from the A site to the P site, the deacylated tRNA is displaced from the P site, the template moves at a distance of one codon in the 5' to 3' direction, and the A site with the new codon becomes vacant (Fig. 12.1 right). In accordance with the above, there are five ways of measuring translocation, based on the following criteria: (1) the transpeptidation reaction with a low-molecular-mass acceptor substrate, e.g. 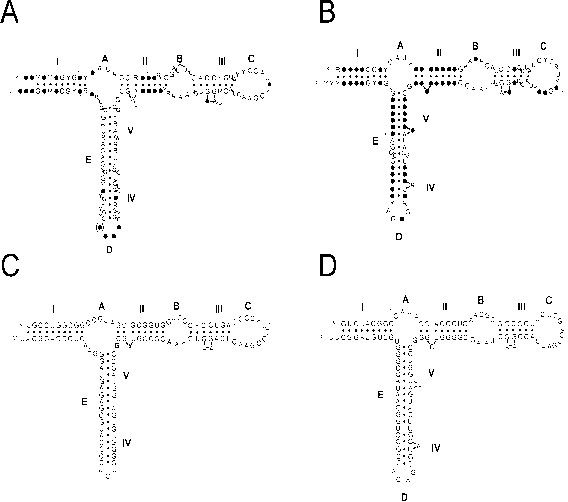 puromycin; (2) the change of intraribosomal surroundings of tRNA residue upon its transition from the A site to the P site; (3) the binding of aminoacyl-tRNA to the vacant A site; (4) the release of deacylated tRNA; and (5) the shift of the template polynucleotide along the ribosome. (1) The puromycin reaction is the simplest and most widely used measurement of translocation. Puromycin has been described above as a low-molecular-mass analog of aminoacyl-tRNA (Fig. 9.3) serving as an acceptor substrate for the ribosomal peptidyl transferase center (PTC). The amino group of its aminoacyl moiety attacks the ester group of peptidyl-tRNA (or its analog), resulting in transpeptidation. The peptidyl-puromycin formed is released from the ribosome. 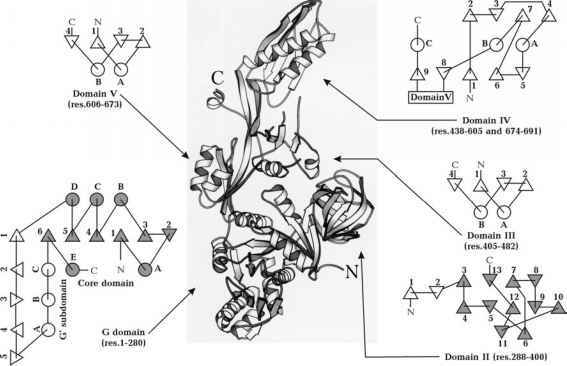 The peptidyl-tRNA of the post-translocation state ribosome reacts fast with added puromycin, whereas the peptidyl-tRNA of the pre-translocation state ribosome does not (Traut & Monro, 1964). Therefore, if the peptidyl residue is labeled, the label released from the ribosome in response to puromycin addition can be used as a quantitative measure of the post-translocation state in the population of ribosomes studied. Conversely, lack of competence to puromycin implies that the particles are in the pre-translocation state. (2) If the A-site-bound tRNA carries a fluorescent group, the fluorescence change during translocation can be registered, thus reporting on the change of intraribosomal surroundings of this tRNA residue upon transition from the A site to the P site (Wintermeyer et al., 1986). (3) Binding of the aminoacyl-tRNA may also serve as a quantitative measure of translocation. If aminoacyl-tRNA is labeled, the codon-dependent binding of the label with the translating ribosome is impossible immediately following transpeptidation; the labeled aminoacyl-tRNA will bind only after translocation (Haenni & Lucas-Lenard, 1968). Consequently, an inability to bind aminoacyl-tRNA is evidence of the pre-translocation state whereas competence to the aminoacyl-tRNA binding is an indication of the post-translocation state. Figure 12.1. Schematic representation of the pre-translocation (left) and post-translocation (right) states of the ribosome. Figure 12.2. The structure of EF-G as determined by X-ray crystallography. (Reproduced from A. Aevarsson, E. Brazhnikov, J. Zheltonosova, Y.N. Chirgadze, S. Al-Karadaghi, L.A. Svensson & A. Liljas, EMBO J. 13, 3669-3677, 1994, with permission. See also J. Czworkowski, J. Wang, T.A. Steitz & P.B. Moore, EMBO J. 13, 3661-3668, 1994). equated with the pre-translocation state, and the release (under proper conditions) or the absence of deacylated tRNA from the ribosome testifies to the post-translocation state. (5) The movement of the template polynucleotide as a test for translocation is a technically more difficult approach. Measurement of the movement may be indirect: it can be based on the appearance of competence to the binding of aminoacyl-tRNA specific to a codon following the codon that was previously positioned in the ribosome. Measurement also can be direct, when the change of the template region screened (protected) by the ribosome is analyzed. The direct test has demonstrated that the movement of the polynucleotide template relative to the ribosome by one nucleotide triplet accompanies the appearance of competence to puromycin and competence to bind aminoacyl-tRNA (Thach & Thach, 1971; Gupta et al, 1971). Translocation is catalyzed by a large protein, referred to as the elongation factor G (EF-G) in Prokaryotes, and as the elongation factor 2 (eEF2) in Eukaryotes. The universal designation EF2 has also been proposed and is often used now. The molecular mass of bacterial EF2 (EF-G) is approximately 80,000 daltons. This protein is a single polypeptide chain with a length of 701 or 691 amino acid residues in the cases of Escherichia coli and Thermus thermophilus, respectively, folded into several globular domains. The animal eEF2, somewhat larger than the prokaryotic EF-G, has a molecular mass of about 95,000 daltons.